If you live in an area that frequently experiences power outages due to hurricanes, high winds and other storms, one of the things you want to have on hand during storm season is backup lighting. Candles are a sure bet, but they don’t put out much light and — if you want to choose options made from renewable, organic materials — beeswax and soy candles can get mighty expensive. There are hand-crank and battery-powered lanterns, but what if you don’t already have one on hand when a power outage strikes? The same problem exists if you’re looking for a kerosene or other oil-style lamp. So, what do you do during an emergency for light? 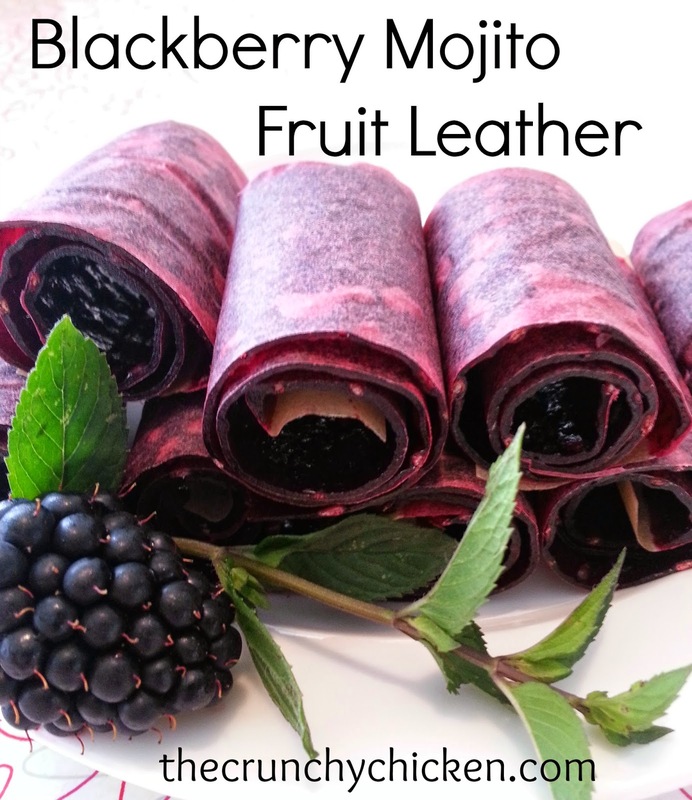 How about something that is easy to acquire, inexpensive and gentle on the environment? The answer is you can make your own olive oil lamp. You don’t need much in the way of equipment and if you don’t have olive oil, you can replace it with other types of cooking oil — or any kind of liquid fat or grease in a pinch. However, I must warn you that while olive is a 99 percent pure renewable fuel that won’t produce smoke or odor, I can’t vouch for canola or corn oil as being smoke-free or that it won’t make the house smell like burnt popcorn. 1. Form one end of the steel wire into a long hook, about the same height as the jar. This hook holds the wire on the jar and doubles as a handle to pull the wick up for lighting. 2. Take the other end of the wire and wrap it into a coil, creating a wick stand about an inch or two tall that sits on the bottom of the jar. 3. Pinch the top of the metal coil onto about 2 inches in length of wick so that about a quarter inch or less of the wick is sticking up above the wire coil. Any longer and the wick will smoke. The other end of the wick will be soaking in the olive oil. 4. 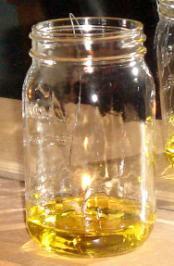 Add enough olive oil to your jar so that the level is just under where the wick is pinched by the wire. Any higher and you risk putting out the lamp with the oil. The olive oil is drawn up the wick where it vaporizes and gets burned by the flame. A few ounces of oil will burn for several hours, so if you are concerned about the cost, it is much cheaper than most candles. If you can find lampante oil (olive oil not suitable for eating, but for burning), you can save money by buying that instead of culinary olive oil. Want to get fancy with your olive oil lamp? You can infuse your olive oil with herbs, spices or essential oils for a more scented experience. Olive oil lamps have been used for thousands of years and people have relied on oil lamps in general up until the last few generations. They are reliable, plus they burn bright and long. The benefit of olive oil is that if the lamp gets knocked over, it stops burning because it has a high flash point, meaning that it’s not a very flammable material. As a result, an olive oil lamp is far safer than a candle or kerosene lantern. If you are having problems with it smoking when you blow it out, use wet fingers to put out the flame, or just douse it with the oil in the jar. One of the benefits of using a canning jar is that, when the oil lamp is not in use, you can put a canning lid on top for storage. A wide-mouthed pint jar will also work well, you just need to adjust the size of the wick holder. For your wick, you can use 100 percent cotton string or twine and salt it to ensure that it burns long. To salt your wick, take your cotton twine, put it in a bowl with a little water and then cover with table salt. Squeeze it dry and let it dry overnight, or until it is no longer damp. If you need or want your lamp to emit more light, try using a braided, flat wick (a half inch or narrower), adjusting the way the wire supports this kind of wick by crimping it to accommodate the extra girth. You can buy flat wicks from stores that carry supplies for oil lamps (such as Lehman’s). Or, you can cut up an old 100 percent cotton tea towel into strips and use that instead. If this all seems a bit too complicated to manufacture on your own and you would rather buy an olive oil lamp, you’ll find old fashioned oil lamps online from Lehman’s. Be sure to check out the book I Didn’t Know That Olive Oil Would Burn! while you are at it. I found a few similar articles, not quite as clear and detailed as yours. I would have made one if the power had stayed out much longer. Cranking the hand-crank lights you mentioned gets really old after a few hours. Just wondering if you have any visuals on how to make the wick coil, I'm having a hard time envisioning it. Thanks for this, it's great! Awesome! I have been thinking about oil lamps...the old fashioned fancy kind...this makes it seem so easy! Will have to try it out soon. I love this idea for emergency lighting. As a homeschool mom, I also love it for a science experiment for my science kid. We will be making one of these next week. What a great jumping off point! I really like that they are so much brighter than candles. Burning olive oil lamps could also be something for a family to do just for fun. Light the lamps, dig out the board games and have low-tech night of fun. Could you use, used cooking oil? It seems it might be a great way to recycle olive oil used in cooking. I would imagine you would have to run it through a fine strainer first to remove any food bits. Have you tried this? Would it work? As a fan of Laura Ingalls Wilder, I was more than half expecting you to include some version of Ma's "button lamp", that she created during "The Long Winter". She used it to burn "axle-grease", which was certainly near-solid, and most likely a mixture of tallow/lard, turpentine, and tar. Nice aroma, I'm sure! I've never made one, but always wanted to. Seems extraordinarily easy and versatile, and surely would burn olive oil too. It would be a good thing to visit the Lehman's site and read their article on their Olive oil lamps and where they come from. They are created by Merry Corliss in a small oregon log cabin. Unlike a home made lamp, the Lehman's product is precisely sized to maximize the principles necessary to burn a clean long flame. They also offer a wide selection and these coils are only 2.50 each in a six pac. Much of the language used by this site is from the origional book by Merry entitled "I didn't know olive oil would burn." By the way, these lamps which have been sold by Lehman's for 20 years or more, make wonderful inexpensive gifts!